The highly collectible 1/10 scale figures of the X-MEN ‘92 series are rendered in the bold, dynamic style of the popular X-Men animated series from the 90s, their simplistic sculpting and vivid colors making them look as if they’ve jumped straight out of an animation cel. 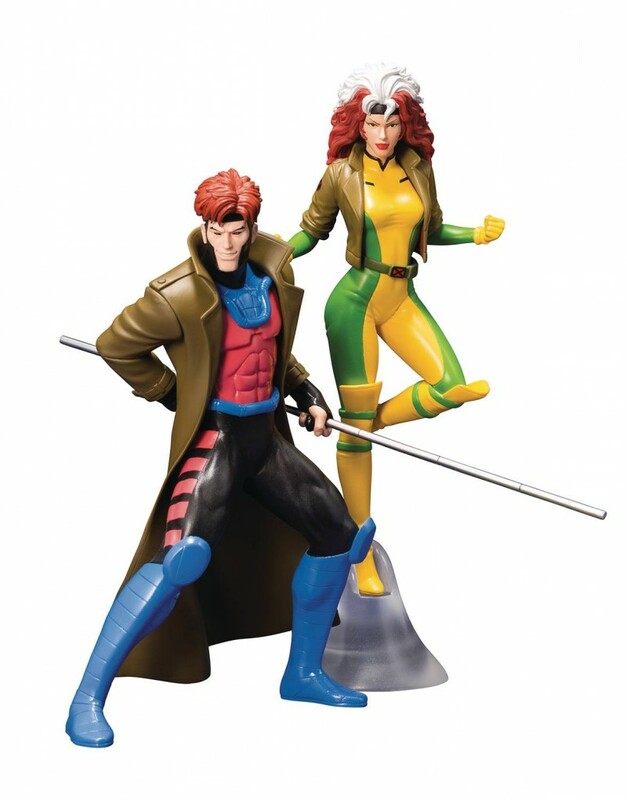 The sixth entry in the X-Men ‘92 line is a long-awaited, powerful duo: the antihero created by Chris Claremont and Jim Lee, Gambit, and the popular superheroine who has appeared in countless X-Men adaptations from the animation to video games, Rogue! The pair is recreated in bold animation-style detail, from the charged card Gambit holds behind his back to Rogue’s dynamic flying pose.